The Metropolitan King County Council voted Monday to sell its downtown bus station for $162 million, to make room for a four-acre Washington State Convention Center expansion. The Metropolitan King County Council voted 8-0 on Monday to sell a four-acre bus station in downtown Seattle for $162 million, so the Washington State Convention Center can double in size. The project ought to provide 6,000 construction jobs and 2,300 long-term hospitality jobs, sponsors estimate. A quarter-million square feet of exhibit space, in one vast hall, will be added by 2020. It will create traffic congestion near-term, by evicting 570 daily buses from Convention Place Station, the downtown transit tunnel and adjoining ramps to Interstate 5 and surface streets, two years from now. Councilmember Jeanne Kohl-Welles, whose district includes the site, said the addition’s vertical design increases Seattle’s advantage of a compact campus, in the heart of the city, instead of a far-flung location where people must find a ride, then walk long distances. A 29-story, 400-unit housing tower, and a 16-story office tower will also be built on a former car dealership across Olive Way. Within the $1.6 billion convention center expansion budget, an additional $14 million will go toward housing subsidy programs by Seattle and King County, and $4.6 million to public art. After the vote, project developer Matt Griffin said more proposals will be unveiled in July to bring total “public-benefits” contributions past $40 million. The project has many friends, including construction unions, land developers and the hospitality industry. “The convention center will create many good job opportunities for FareStart graduates who are struggling to escape homelessness and poverty,” said Lauren Young, a fundraiser for the nonprofit, in public comment. The convention center authority will pay Metro Transit a total $275 million over 32 years counting interest. The sales deal will evict buses from Convention Place Station in September 2019 — or earlier in March 2019 if the city of Seattle approves street-use permits by July 1, 2018. For the first year or so of land clearing and early construction, a temporary bus ramp will let buses use the tunnel and continue to Ninth Avenue — rather than immediately be forced out. 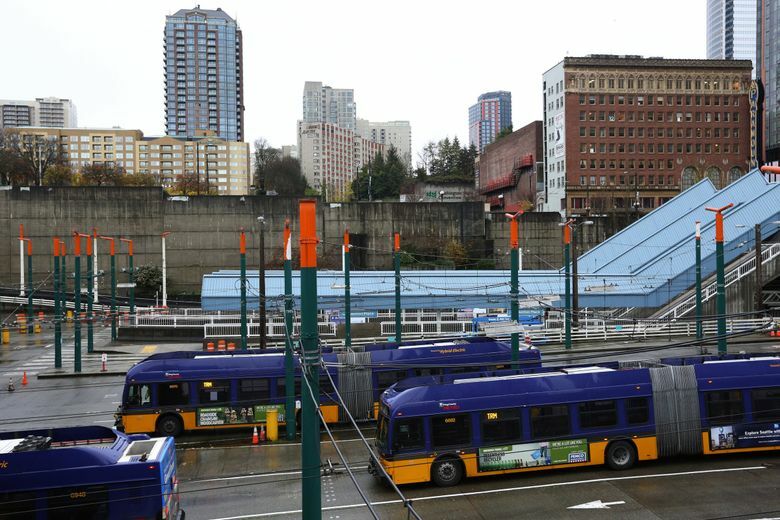 Buses would need to leave the tunnel even without the convention center expansion, months before Sound Transit’s Northgate rail extension opens by 2021. That’s because the additional rail traffic would conflict with buses in the tunnel.